Today is a generally terrible day. The weather is a nice reflection of that as well. I usually like these quick summer storms but after the tornado damage to my house a few years back, my son freaks out when it gets like this. 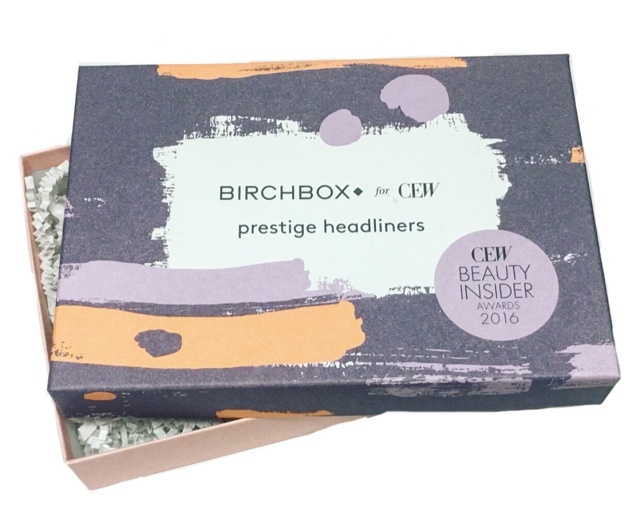 Thankfully my power hasn't been affected (yet) so I can still share today's newest arrival with all you dolls - it's the 2016 Birchbox for CEW Prestige Headliners Box! If you are unfamiliar, each year brings about The Cosmetic Executive Women Beauty Insider Awards (CEW for short). 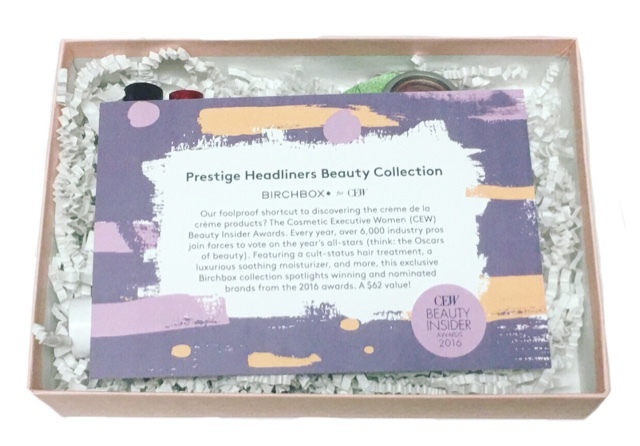 Over 6,000 industry pros join forces to vote on this years all star beauty products. 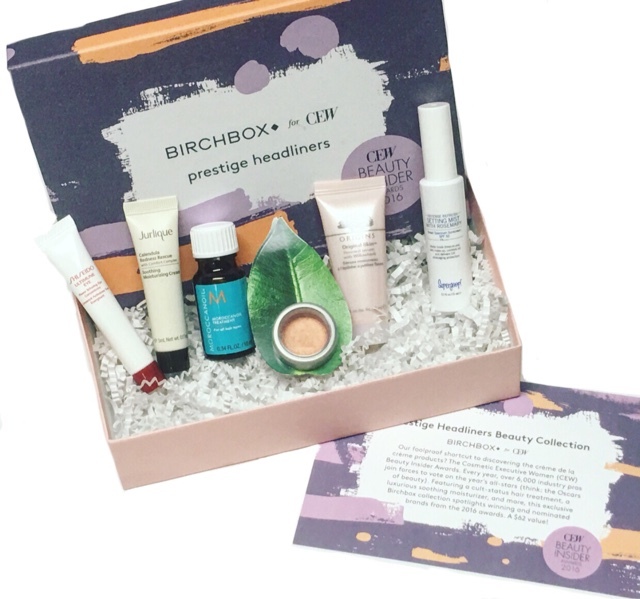 The creme de la Creme of these products (both winning and nominated brands) are featured by Birchbox in the exclusive Prestige Headliners box which sells for $18.00. 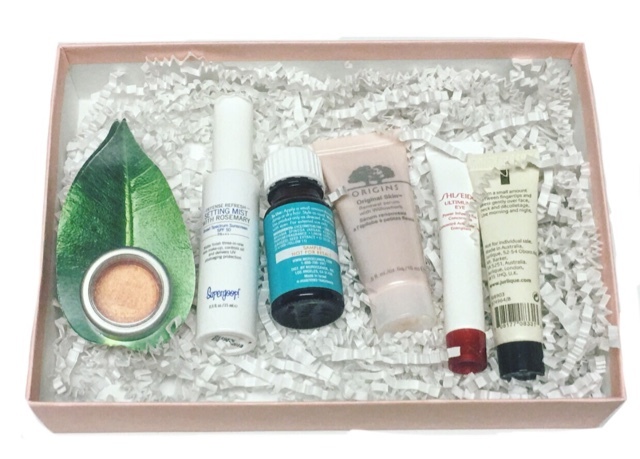 I do so love a box packed with pretty, fabulous products. This one just strikes me as being very chic... Must be the colors! 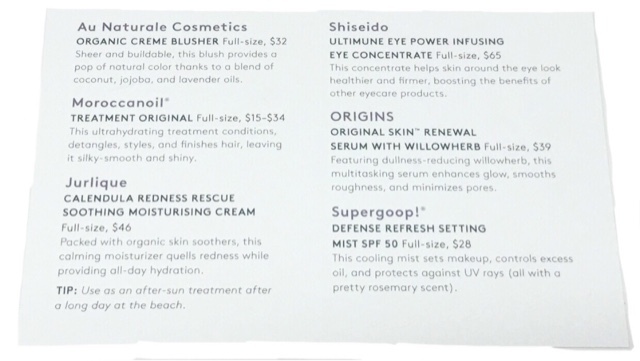 Included is a detailed information card that tells you a bit about each item featured in the box. 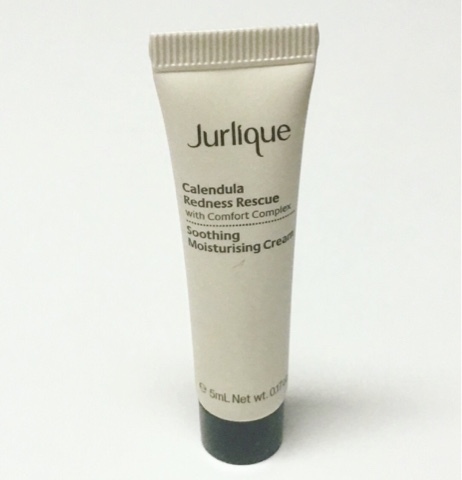 Jurlique Calendula Redness Rescue --- I got to try this product in my monthly Birchbox a few months ago and really liked it. It's packed with organic skin soothers that calm redness and provide all day hydration. Supergoop! Defense Refresh Setting Mist --- I love shaking this bottle. It rattles like a can of spray paint.... It's a pretty great product too. 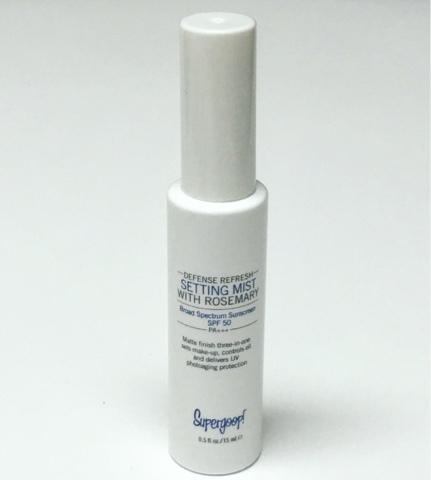 The cooling mist sets makeup, controls oil, and is SPF 50 to keep away the UV rays. It also has a lovely light Rosemary scent! 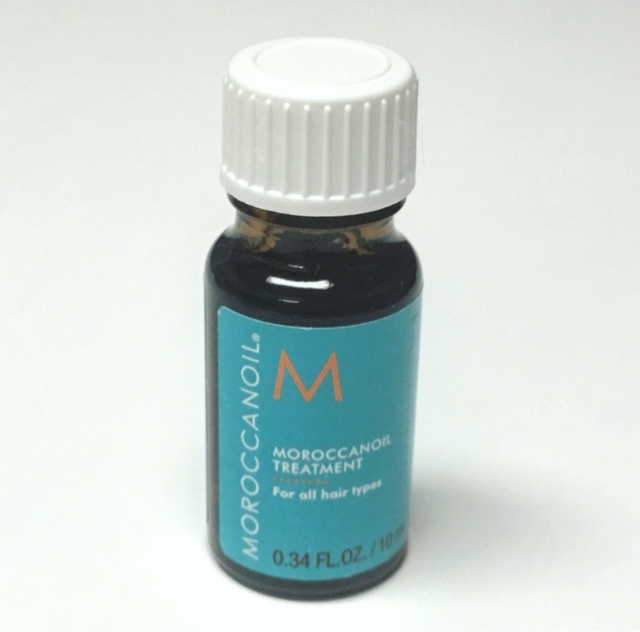 Moroccanoil Moroccan Treatment Oil --- I have super fine hair and have to use hai oils pretty sparingly so this one will last me quite some time. It's an ultrahydrating treatment conditions, detangles, styles and finishes hair to leave it silky smooth and shiny. 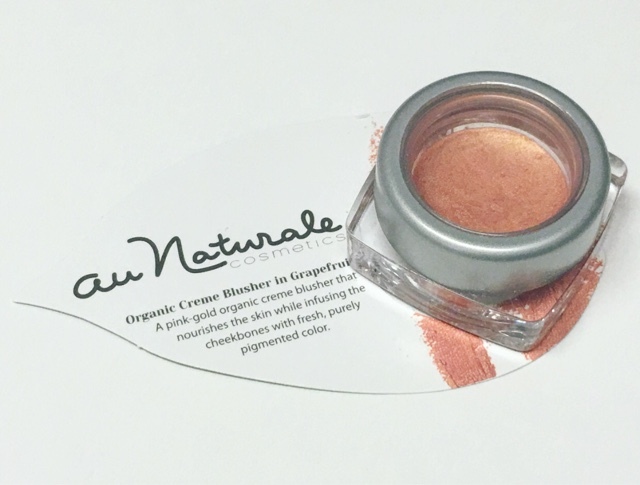 Au Naturale Organic Creme Blusher in 'Grapefruit' --- This brand is one of my favorites and I absolutely love this blush! Sheer and super buildable, it gives a beautiful, natural pop of color and is made with a blend of coconut, jojoba, and lavender oils. 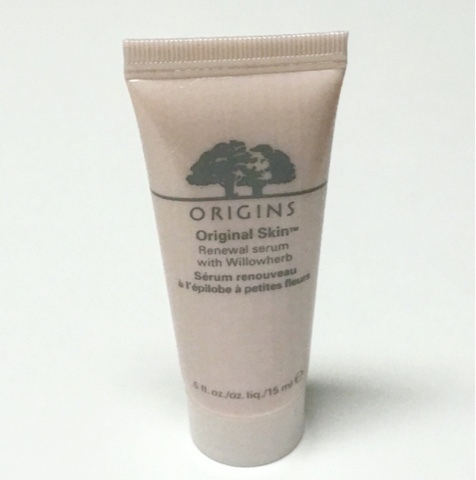 Origins Original Skin Renewal Serum --- I have had a long history with the Origins brand. They were the first department store makeup brand I ever made a purchase from and I still love them to this day. This renewal serum is made with dullness reducing Willowherb. It's a fabulous multitasking serum that enhances glow, smooths roughness, and minimizes pores. 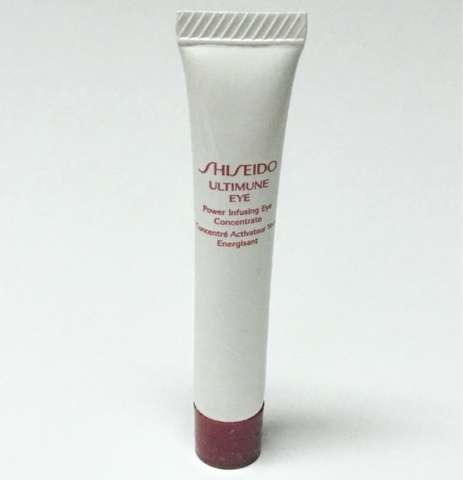 Shiseido Ultimune Eye Power Infusing Eye Concentrate --- This is a great product that adds a bit of extra 'oomph' to other eyecare products. The concentrate helps skin around the eye look healthier and firmer. I always love the CEW boxes every year, especially the Prestige Headliners collection. It really is a fabulous mix of higher end products and a great way to test out these typically more costly products before you commit to the full size! Disclosure: Post contains referral links.